LG Electronics is one of the leading Electronics Product Manufacturer which makes home appliances like washing machines, microwave ovens, mobiles, tablets, and televisions. In 2009, LG first time launched its first Android smartphone. Best known for its flagship of G series smartphones, LG launched its LG G6 handset back in February 2017. The South Korean giant, LG launched the G6 smartphone in 2017. LG is now rolling out the latest Android Oreo update in the LG G6 handset model. So, the LG G6 users are soon going to get a taste of Android Oreo 8.0. According to the sources, LG is going to roll out the latest Android 8.0 Oreo software update on this April 30. So, if you are an LG G6 handset user, your smartphone is getting the latest Android Oreo update on the upcoming Monday. Isn’t it cool? The official announcement was made by the company on Friday. The company posted the news in a blog post which clearly stated that the LG G6 devices are going to get Android Oreo 8.0 software update from April 30. The 5.7-inch QHD+LG G6 smartphone supports 1440×2880 pixels of Full Vision display. It also offers the latest 18:9 aspect ratio which is quite in demand. Because of the Corning Gorilla Glass 3, this smartphone is quite hardy. 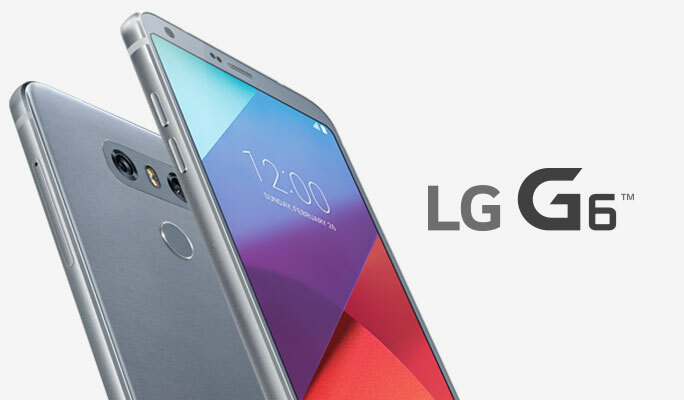 The LG G6 is powered by a Qualcomm Snapdragon 821 SoC processor which is coupled with 4 GB of LPDD4 RAM. Plus, this phone comes with two different inbuilt internal storage variants. One variant comes with a 32 GB storage and the other variant comes with a 64GB inbuilt storage. The dual camera setup of LG G6 is also a point of attraction which combines two 13 MP sensors, where one of the two cameras is used for wide-angle shots with the help of a 125-degree lens. Plus, the front camera of this phone is of 5 MP with a 100-degree lens. As per the official blog post of LG, the Android Oreo update can be wirelessly installed either via OTA or through the LG Bridge program. If you are installing the update via LG Bridge program, then you can directly do it on your PC. According to the company, the upcoming Android Oreo update is going to improve the overall performance speed, battery performance, overall phone performance, screen configuration, and graphical interface. The new Android Oreo update is also bringing several Core Android Oreo features including smart autofill feature, PiP or Picture in Picture support, enhanced Quick Settings menu, and notification dots. Additionally, the users of LG G6 will enjoy great proprietary features which include support for high-resolution LDAC. This also adds certain features which come under the ‘sympathetic AI’ branding. Surely, the users of LG G6 are going to enjoy stable and continuous performance speed after upgrading their devices to Android Oreo 8.0 on April 30.